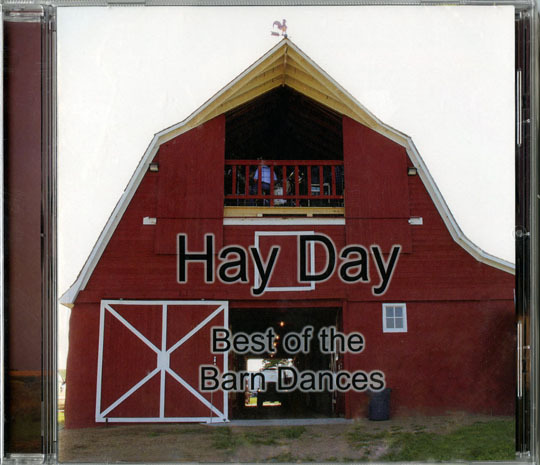 Hay Day: Best of the Barn Dances features a music CD from Prairie Public Broadcasting's documentary, Hay Day: Musical Barns of North Dakota featuring The Radio Stars, Rhythms of the Heart, Tigirlily, The Hay Shackers and more. Produced in cooperation with Stan Wright, Fred & Joyce Evans, John Andrist, Hazen Arts Council, Target Logistics, Preservation North Dakota, and barn owners - George & Pat Ehils, Harvey Huber, Elroy Lindaas, Evonne Piepkorn, Scott & Ermaline Schlepp and the families of Milton Stein & Elroy Stien. Production funding provided in part by Gate City Bank , BNSF Railway, North Dakota Farmers Union, State Historical Society of North Dakota, Union State Bank and the North Dakota Council on the Arts.